Great maternal traits, very loving dam! 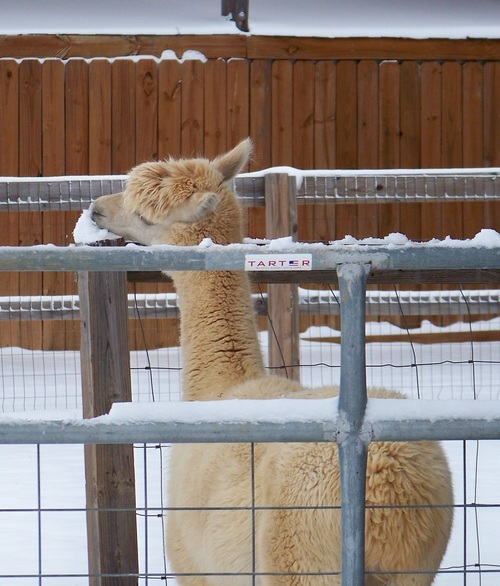 Alpaca eating a snow cone! This is a Working Alpaca Farm, NOT a petting zoo. Visiting is by prior scheduled appointment only. 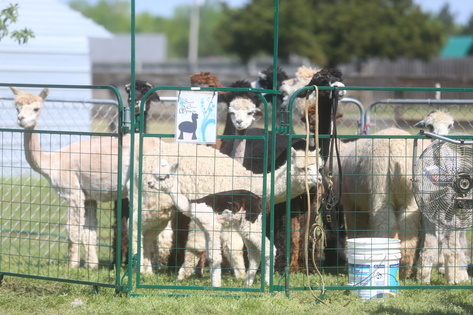 Sweet Clover Alpaca is a small family farm in Central Arkansas and has been in operation since July 2008. This is a completely hands-on operation since it's beginning. The barns were built out of used wooden fence panels and the acreage was fenced with no-climb fencing and a solar electric barrier. I employ Livestock Guardian Dogs to protect against predators. I know my animals intimately. Being a full service farm, I do my own farm management (nutrition, breeding decisions, minor medical, shots, trimming toenails, etc.). For the last ten years I have worked hard to upgrade my herd with every breeding, striving to add the best genetics to this American alpaca herd. I breed for Fine Fleece, Solid Conformation and Gentle Disposition. I raise a show/breedstock alpaca herd. I participate in the AOA national show system for alpaca on Halter, Full Fleece and Fiber Arts. I have done well up against some big-name farm's competition, with the ribbons adorning my livingroom wall. Mentorship is very important when you are looking into Alpaca ownership. When you purchase alpaca from my farm, I will do my best to teach you everything you need to know to take care of your investment, your alpaca. I will be available to you for questions, emergencies or just a burning curiosity. If I don't know the answer, I will use all my resources to find the answer. I would be very happy to show you how to do it all. I have learned from some of the best how to mentor the new Alpaca owner. After the sale, it's the service that counts! I have an annual shearing event where I bring in a professional shearer and shear the whole herd in a half day. Any farm that I mentor is welcome to share in the farm set up costs and bring their alpaca or llama to the annual shearing event. We work together to make shearing easy and profitable while bringing in the annual harvest. I would love to show you why I love Alpaca and Alpaca farming. These ethereal animals are gentle enough for a first-time farmer to handle by herself! The great majority of the Alpaca here are in the Royal Baby or Baby Alpaca Fleece category. At the moment I have many colors of very clean Alpaca fleece for sale as well. This is a BVDV Negative Farm. All the animals have been tested and are Negative for BVDV. The total average micron of the animals on the farm for 2013 was 22.1! I do have farm visitors come see the alpaca. This is working farm, so you come at your own risk. These visits are scheduled in at least a week in advance and are only available on the weekend days (Friday, Saturday, Sunday). Please email or call after 6pm to schedule yours. Financing may be available for those who meet my requirements. I am open to discussing financing options with you. Please call for more information. 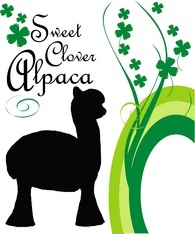 I am implementing a new program at Sweet Clover Alpaca called Alpaca Sponsorship. It is a program where the sponsor can visit and learn about the alpaca they sponsor for a fee. It is a yearly (renewable) program and the fee is $300/ yr. The sponsor would get several farm visiting days scheduled throughout the year. 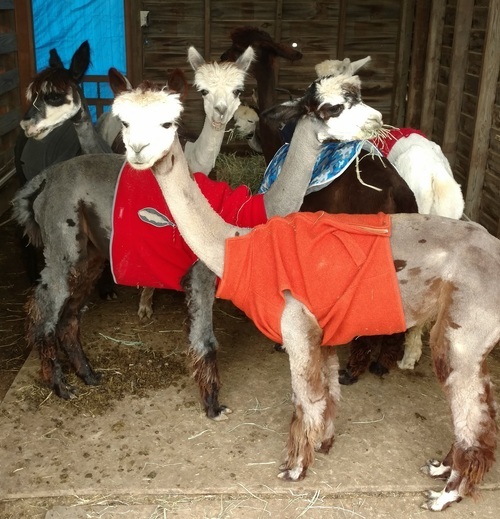 On shearing day, they can come out, help with shearing their sponsored alpaca, possibly learn about the fleece, how to spin yarn, a day of fellowship and learning about farm life. Sheep farmers have been doing programs like this for decades. I am one of the top Gray huacaya breeders in Arkansas! The prices listed are for breeding stock. I currently do not have any fiber or pet alpaca, but if you are looking for a pet/fiber herd, I will do my best to find you some lovely alpaca. Are Alpaca on your wish list for this year? 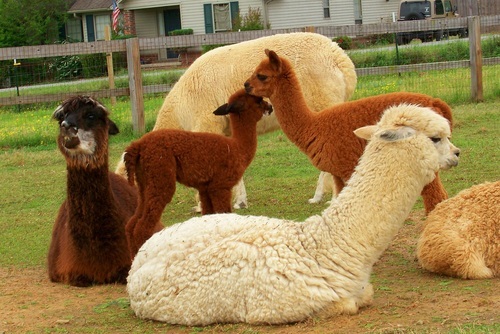 Alpaca Farming is the tax shelter you were looking for. Yes! Fiber Animal farming IS tax deductible.